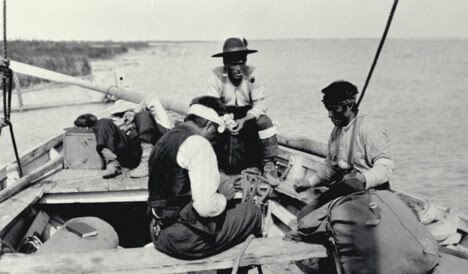 "Portage La Loche in 1862" and "The Portage La Loche Brigade" articles are now on the next two pages. "Trading Beyond the Mountains: The British Fur Trade on the Pacific, 1793-1843 " (Vancouver: UBC Press, 1997). 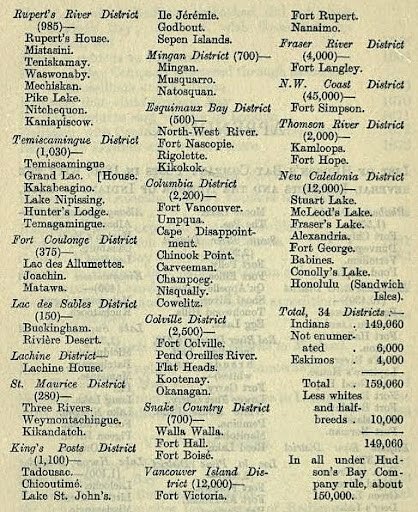 List of Hudson's Bay Company Districts and Posts in 1856. Lac La Loche including the Portage was in its north western end. The Clearwater River was in the Athabasca District of the HBC. The number of posts in the English River District varied over the years. Some posts became part of another District as the boundaries of the District changed. Some posts closed and new posts were opened. 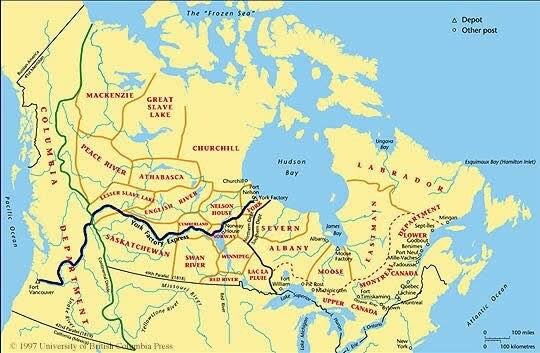 Note: The English River was another name for the Churchill River. *Note: Mostly "Dene" frequented the Ile a la Crosse post in 1825. They numbered 469. 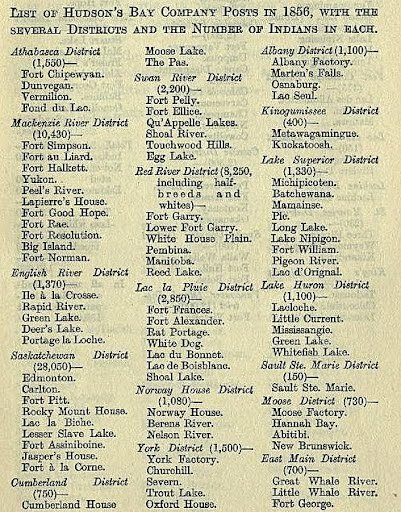 *Note: The "Cree" population mostly frequented the Green Lake and Lac la Ronge posts. They numbered 235. 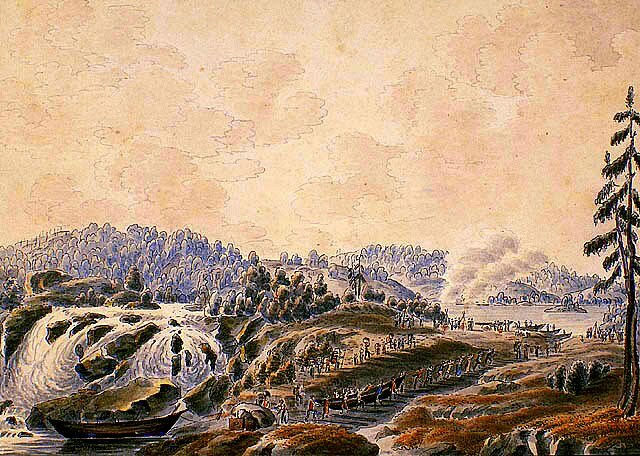 Ile a la Crosse (drawing by Sir George Back in 1820) was the headquarters of the English River District. and the John Franklin map below were drawn during the Coppermine Expedition of 1819-1822. 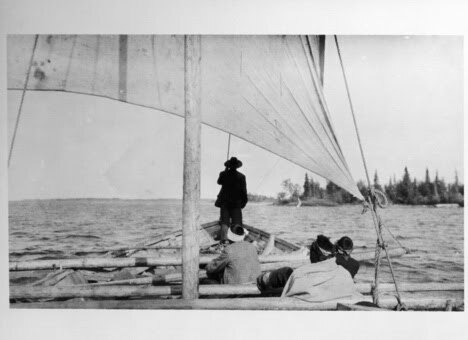 Ile a la Crosse was the birthplace of the father of Louis Riel. was also born in Ile a la Crosse. John Franklin's 1820 expedition map detailing the Churchill River (English River) fur trade route from Lac Île-à-la-Crosse to Frog Portage with the Beaver River coming in the lake from the south. Cumberland District and Cumberland House on the Saskatchewan River System. Fort Garry was the headquarters of the Red River District. Fort Garry was directly across the river from St. Boniface. Father Petitot viewed the burnt out remains of this church in 1862. Another church was later rebuilt at the same location. St. Boniface, the Red River Settlement, was the birthplace of Louis Riel. He was buried in front of the cathedral. 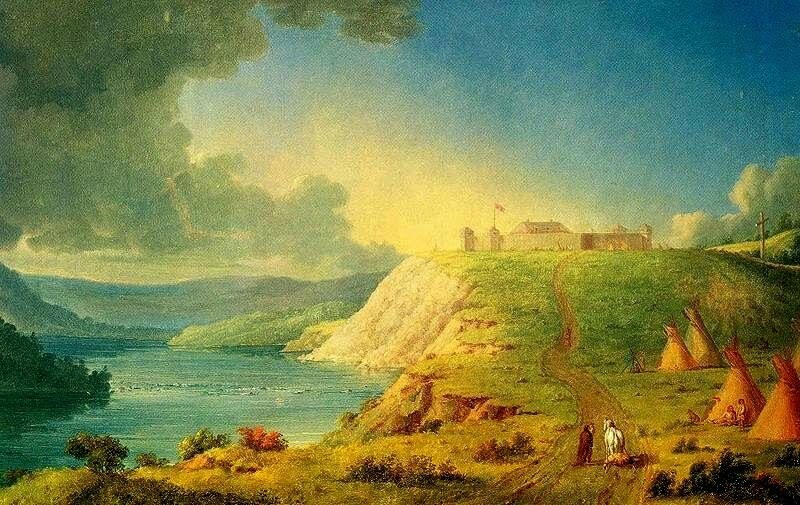 Lower Fort Garry which was 32 kilometers down the river was also called the Stone Fort. York Factory in 1853 (from flick,com) was the headquarters of the York District of the HBC. Below is a map of York Factory 1840's (from 11-HBCA-FC) found inside of published work "The Letters of Letitia Hargrave"
Cumberland House was the Headquarters of the Cumberland District of the HBC. Norway House was the headquarters of the Norway District of the HBC. 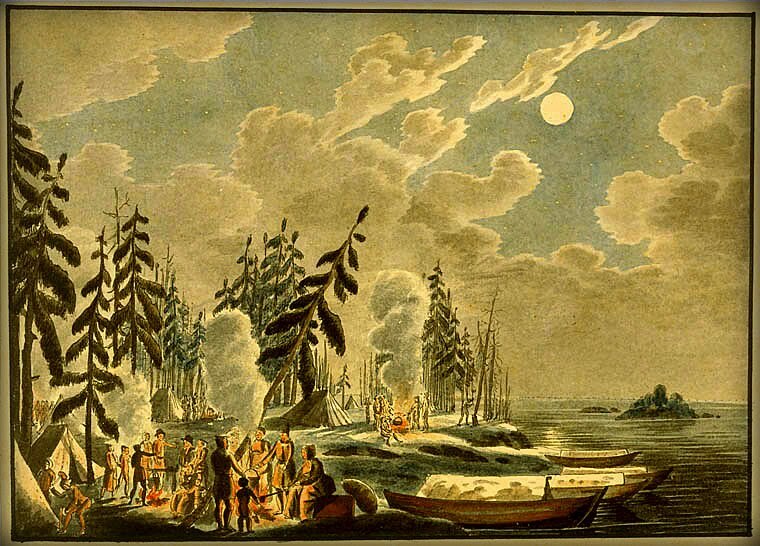 It was also the site of the yearly Hudson's Bay Company Northern Council Meetings from 1830 to 1870. The meetings had previously been held at York Factory. It was created by C.I. Bouchette in 1889. 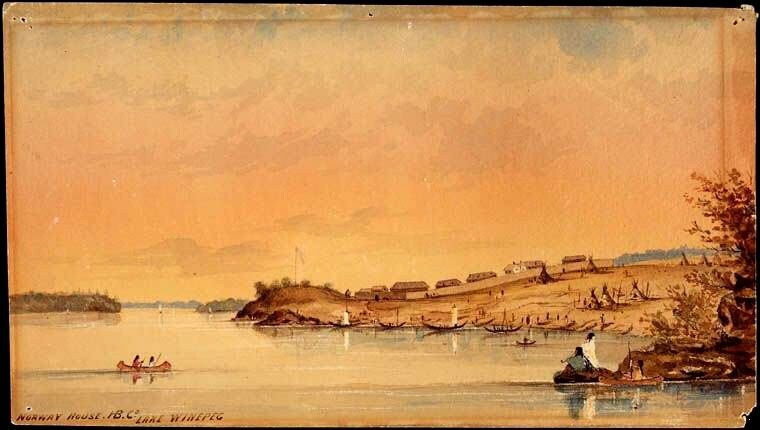 Fort Chipewyan (drawing by Sir George Back in 1820) was the headquarters of the Athabasca District of the HBC. Note the Dene/Chipewyan tipis in the foreground. Fort Chipewyan from the top of the prison in 1893 by J.B. Tyrrell. Episcopal Church is at the end of the row of houses. Fort Chipewyan in 1900 by Tyrrell with steamer frozen in the ice. 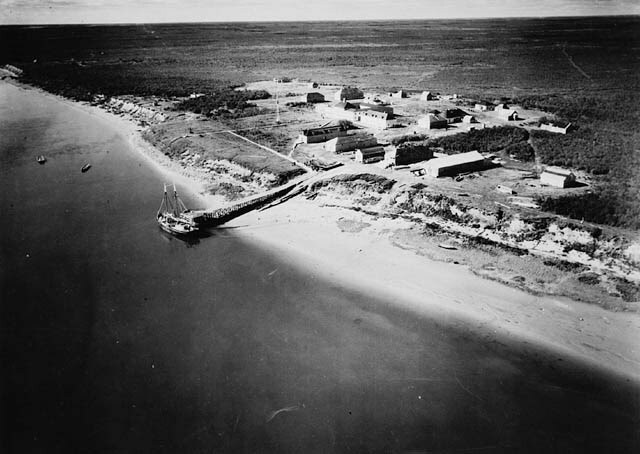 Fort Simpson was the headquarters of the Mackenzie District of the HBC. Fort Edmonton was headquarters of the Saskatchewan District of the HBC. The Alberta Capital Buildings are now just above this site. 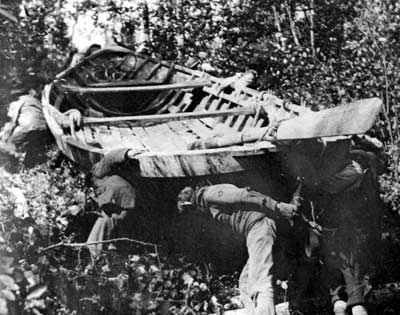 York boats came to Portage La Loche every year from as early as 1822.